Home / News / Carpio declines CJ nomination: "I don’t want to benefit from it so I will decline..."
Carpio declines CJ nomination: "I don’t want to benefit from it so I will decline..."
Manila, Philippines - The most senior magistrate and acting Chief Justice Antonio Carpio seems not interested in the top judicial position. 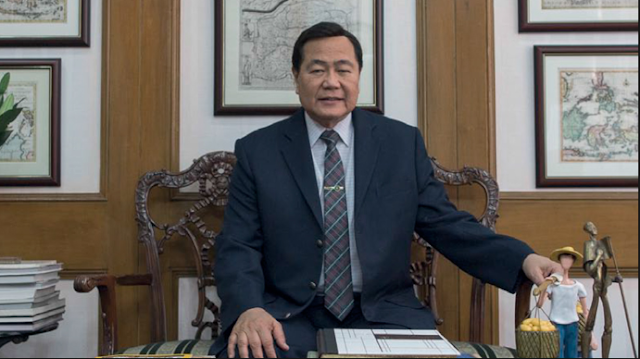 Carpio said, he would decline a nomination for the chief justice post for some reasons. First, he does not want to benefit from the ouster of Maria Lourdes Sereno that he voted against the quo warranto petition. “On a personal level, because I voted against it, I don’t want to benefit from it so I will decline any nomination… I have to be consistent with my position that the quo warranto was not the proper way to remove a sitting member of the court,” Carpio said in his interview with ANC. Carpio was among the six magistrates who voted against the quo warranto filed by Solicitor General Jose Calida. In his opinion, Carpio argued that Sereno could not be removed via quo warranto proceedings for she’s an impeachable official that could only be removed via impeachment process in Congress. Carpio, on the other hand, believed that Sereno committed a violation for not submitting her complete statements of assets, liabilities and net worth (SALNs) when she was still teaching law at the University of the Philippines and also during her application for chief justice. Carpio also maintained his position during the voting for Sereno’s motion for reconsideration last Tuesday. “What was shown in the records is she did not file her SALNs... she failed to file for several years. It was an intentional non-filing,” Carpio said. “If you are a chief justice, you only have one vote, same as a vote of an associate justice. It doesn’t mean that because you’re a chief justice, the other justices will follow you; they will follow you if your ponencia (decision) is correct, convincing, powerful,” Carpio said. Under the law, President Duterte should appoint Sereno’s replacement within 90 days after Sereno’s removal with finality. The SC already asked the Judicial and Bar Council (JBC) to start the screening process for the next chief justice. Following Sereno’s ouster, JBC said that it would impose stringent rules for SC applicants. “I guess we will have to be stricter this time around so that such instances of lapses won’t happen again, where the requirements are not complied with and yet they are included in the short list,” Oriental Mindoro Rep. Rey Umali said. Umali is a member of the seven-membered JBC that screens candidates for the judiciary and the ombudsman, that would be submitted for President’s appointment.